Connects to live cables, sockets, busbars,clamps etc. It is very difficult to locate a fault or a cable end in a branched network using a TDR. 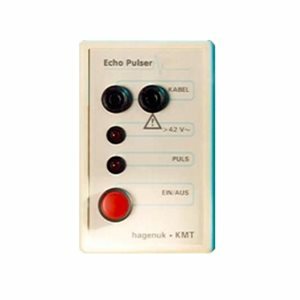 The Echo Pulser marks a certain point in the network thus enabling the user to locate and identify this point with a TDR.